YouTube is full of enterprising people sharing their videos with the entire world. There are many reasons for doing so: sharing with friends and family, attracting more subscribers, increase your channel’s visibility, and so on. Some people have even turned ‘YouTuber’ into a full-time profession and earned fame and fortune by sharing their videos. YouTube is the center of a brand new market. It’s a bustling hub of activity and it’s the best way to get your videos out into the world. But there is a problem for people who want to share music: you can’t upload mp3 on YouTube. So what does one do if they want to upload an mp3 file to YouTube? Well, it needs to be converted to a different file type. Here’s how you can do it. Pie-tube.com is a handy little tool for uploading mp3 to YouTube directly, as well as downloading videos from it. The design is simple but elegant, making it far easier to use than many other options. This is how it works. Upload up to 2MB of images. Create video and upload to YouTube. Your video will then go straight up onto YouTube for the world to see. It’s a simple three-step process and takes only minutes. Better still, it’s completely free with no download required. 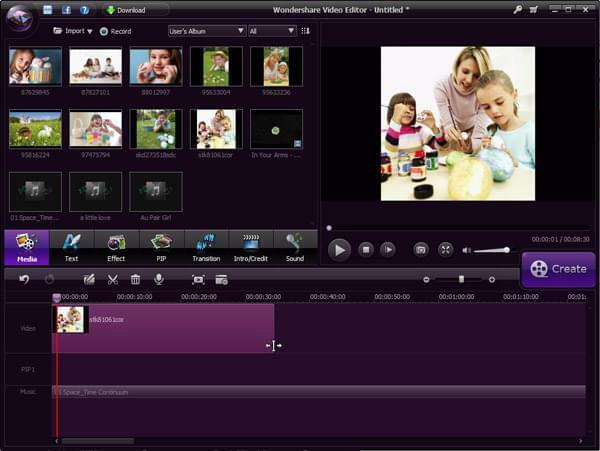 If you would like a little more control over the end result, this downloadable video editor packs a lot of features. It is very useful for mp3 to YouTube upload. Step 1:Import your mp3 file and images using the import button. You can find the import button on the top left of the screen, indicated by a file icon. Step 2:Drag your mp3 file onto the timeline. You will see a Music Timeline – that is where the mp3 file goes. Drop it into that, making sure that it starts at the beginning of the timeline. Step 3:Drag your images onto the timeline. These belong on the PIP Timeline, which is above the Music Timeline. You can set the time that these images display for by clicking and dragging the edges to the appropriate times. Step 4:Press the Create button. This is on the right hand side of the screen. From there, you can go to the YouTube tab and directly upload the finished video. It even offers options for sharing to social media sites. The options above are both very useful methods for uploading mp3 to YouTube, however, they have one drawback. They are made using only static images. This is fine, and many people who upload mp3 to YouTube do this. However, this is not as engaging as a live video. 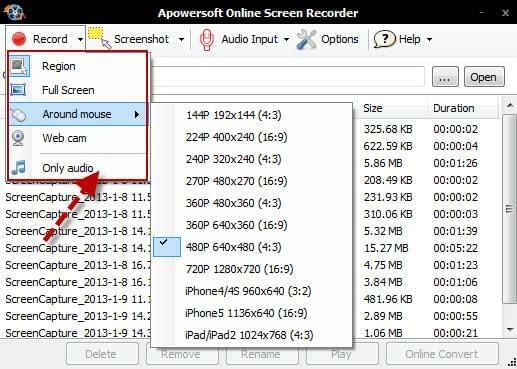 You can create a live video yourself for a more dynamic YouTube hit using the Apowersoft Free Screen Recorder. The screen recorder does exactly what it says on the box: records your screen. Simply record using this tool, then place the video into Windows Live Movie Maker which usually comes free on all Windows computers. Add the mp3 file into Movie Maker as well, and then you can create your video and upload it to YouTube. 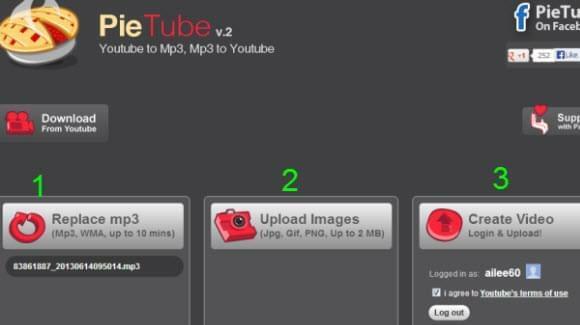 It’s a more vivid and interesting way to present an mp3 to YouTube upload. The vast majority of YouTube viewers are looking for music to listen to. If you are one of the people providing this music, these are very simple ways of uploading mp3 to YouTube. They will enable you to share music and sound files with ease. Moby: Needed to put you a little bit of word to help thank you very much again relating to the unique concepts you have shown above. It is simply wonderfully open-handed with you to present easily all that a few individuals could possibly have distributed as an e-book to help make some profit on their own, precisely considering the fact that you might well have done it if you ever desired. These tricks additionally acted to be the fantastic way to know that other people have similar dream really like my personal own to find out many more with regards to this issue. I believe there are thousands of more fun occasions in the future for folks who go through your site.